Do you own a rear wheel or four wheel drive car making any strange noises or vibration? Then your car may have problems pertaining to the tail shaft. 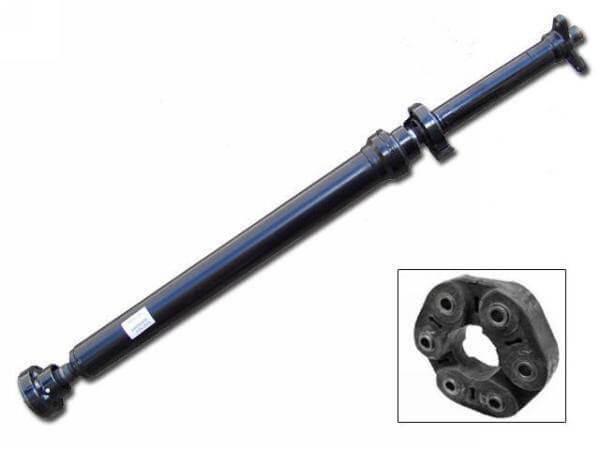 At A1 Drive Shaft Vic P/L, we supply reconditioned tail shaft for cars of all makes and models. With years of expertise and experience in this industry, we help you choose the right tail shaft for your vehicle from our inventory. We also make certain that the efficiency and reliability of your vehicle will be completely restored with our fully reconditioned and balanced tail shaft. As tail shafts are essential for the smooth performance of your vehicle, you can easily notice the problem once it gets worn out. If you fail to replace the worn out tail shaft in your vehicle, it may lead to complex issues and end up in costly repairs. When you start feeling any vibration or excessive noise from your vehicle, we recommend you to replace it for your vehicle’s optimal performance. We welcome you to explore our stock and choose an ideal tail shaft for your vehicle! For quality proshaft / tailshaft repairs in Melbourne, Call (03) 9417 5859.